First: I took my wedding ring off during night church and my fingers are swollen like crazy! You could see the indention where the ring was! Second: I’m mega uncomfortable. MAJORILY!!! Especially right under my chest. It constantly aches and my back is also starting to hurt (the 6 hour drive thur should be ffffuuuunn). Third: The baby is moving much much more often and more intensely. I think that soon I’ll be able to feel the actual foot b/c the kicks are so hard! I love feeling Clover move though and I know it will be something I’ll miss so much once she/he gets here! The baby was so beautiful! She had dark curls! How strange! 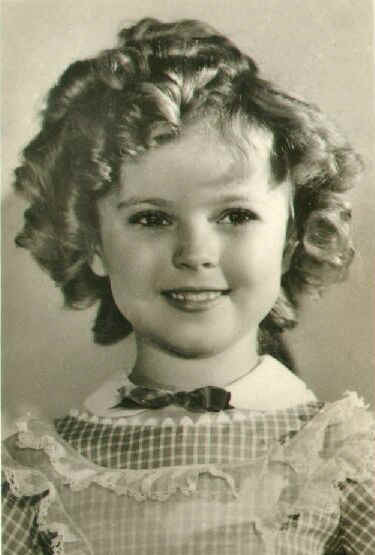 She really looked like a dark-headed Shirley Temple! When I woke up I realized that could be a reality! This whole time I’ve assumed Zach and I would have light haired children since we have rather light hair and were both blonde as kids but both of my parents have dark hair! And my grandmother and mom both have rather curly hair (Mom had MEGA curls as a little girl). So I totally think our baby could have the Bublitz/Nezbitt look! I was happy when I woke up and after that dream I’d be willing to put plenty of money on the guess that Clover is a SHE. Now, I will be JUST as happy if Clover is a HE but I will be SUPER shocked if the dr. says “It’s a boy” come March! Next Post Good Times with Great Friends!